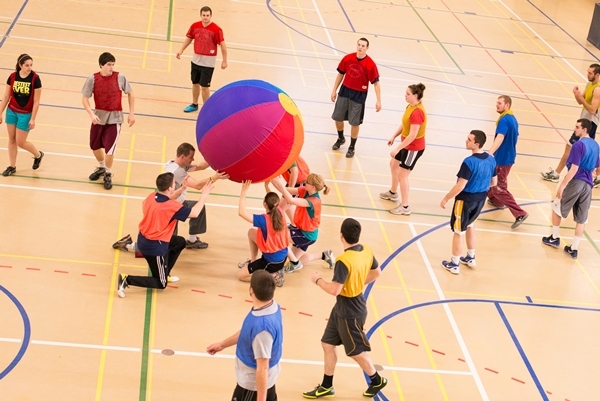 University of Maine at Presque Isle Physical Education majors will present their 24th semi-annual Fit and Fun Day from 10 a.m. to Noon on Saturday, Nov. 12 at UMPI’s Gentile Hall. Registration will begin at 9:30 a.m. All students in grades K-5 are welcome to attend this free, Thanksgiving-themed event. Parents/guardians are encouraged to stay and enjoy coffee while their children learn fun fall games taught by up-and-coming physical educators. At Noon, immediately following the event, the pool and rock wall will be open for participants who have an accompanied care provider. Fit and Fun Day is designed to promote physical activity and healthy lifestyles for local children, while at the same timing allowing Physical Education students to practice their teaching skills. 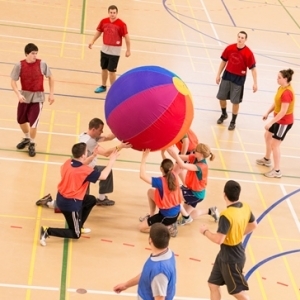 PE majors have been hosting these twice-yearly events for more than 10 years. Derek Healy, Senior Physical Education major and event coordinator, explained one bonus to this year’s Fit and Fun Day: “We are excited to have the option of offering outdoor activities, weather permitting.” Participants should come prepared and dressed for indoor and outdoor activities. During the event, Gentile Hall will be filled with Thanksgiving-themed games for young students to enjoy. Water will be readily available for youngsters and trained “Boo Boo Patrol” staff will be on hand. Organizers hope to see children learn the meaning of fun through sport and activity, as well as give parents a small break for the morning. For those adults wishing to get in a little physical activity themselves, Gentile Hall’s state-of-the-art track will be available, allowing guests to walk with an almost unimpeded view of the gym so they can watch their child take part in this fantastic event, all while modeling a healthy lifestyle. At the conclusion of the event, parents, guardians and recreation directors are encouraged to stick around for more fun. Both the pool and the rock wall will be available from 12 p.m. to 1 p.m. Proper swimming attire is required. On-deck supervision by a parent/guardian for the pool session is mandatory. Parents need to sign a release form, provided during registration, in order for their children to use the pool and rock wall. For more information about this event, call Christine Standefer at (207) 768- 9457 or email christine.standefer@maine.edu.